The “Enchanted Islands” as the world calls it, is a place of dreams, of dark stories, of pirates, of incredible wildlife and prehistoric landscapes, inspiring a range of emotions you can only experience by visiting them. Original Glamping cannot possibly claim that beauty to our advantage. 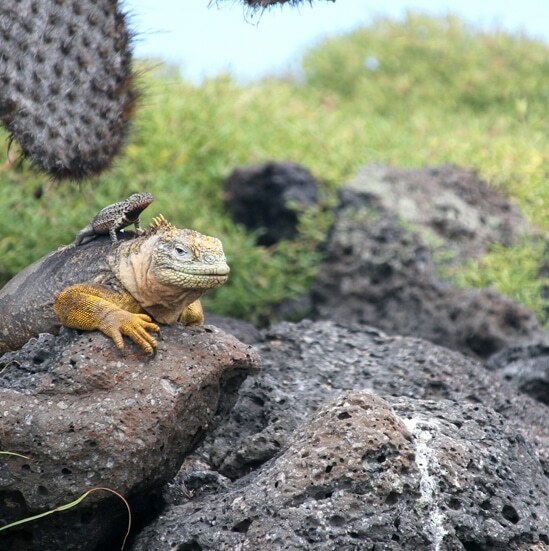 We can only blend into it and let it speak for itself while we focus on what we do best: taking care of you and giving you a Galapagos experience that inspires and enlightens. Galapagos Safari Camp was built out of passion. Michael and Stephanie Mesdag stumbled on the property while visiting the islands. They gave up life in Europe to build a dream conceived while up a tree admiring the mesmerizing views where the lodge now sits. Galapagos Safari Camp reflects their love of travel and encapsulates their concept of aesthetic harmony with nature.